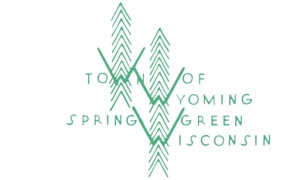 2018 assessment will be open for examination on the 29th day of April, 2019, at the Wyoming Town Hall from 5:00 p.m. to 7:00 p.m. Instructional material about the assessment and Board of Review procedures will be available at that time, for information on how to file an objection and the Board of Review procedures under Wisconsin Law. NOTICE IS HEREBY GIVEN that the Board of Review for the Town of Wyoming of Iowa County shall hold its meeting on the 13th day of May, 2019 from 6 p.m. to 8 p.m. at the Wyoming Town Hall on State Highway 23.
or contest the amount of assessment unless, at least 48 hours before the first meeting of the Board or at least 48 hours before the objection is heard if the objection is allowed because the person has been granted a waiver of the 48-hour notice of an intent to file a written objection by appearing before the Board during the first two hours of the meeting and showing good cause for failure to meet the 48-hour notice requirement and files a written objection, that the person provides the Clerk of the Board of Review notice as to whether the person will ask for the removal of any Board members and, if so, which member will be removed and person’s reasonable estimate of the length of time that the hearing will take. When appearing before the Board, the person shall specify, in writing, the person’s estimate of the value of the land and of the improvements that are the subject of the person’s objection and specify the information that the person used to arrive at the estimate.